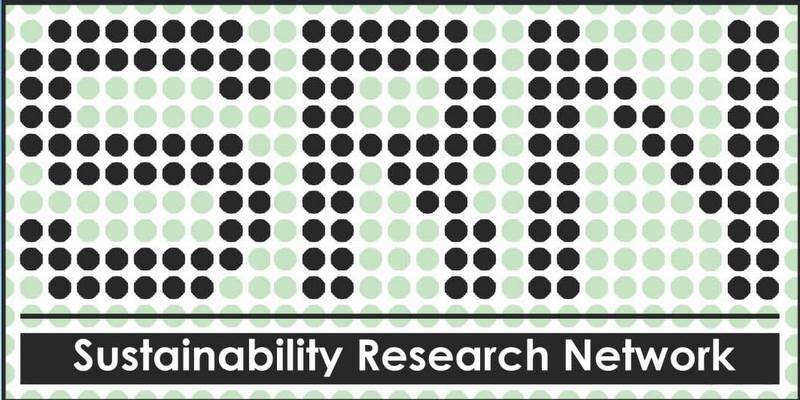 This week marks the official launch of the Sustainability Research Network (SRN) at the University of Nottingham; a student-led initiative designed to bring together PhD students and early careers researchers with an interest in sustainability. The network has been developed by five PhD students: Georgina Wood (Geography), Sarah Glozer (ICCSR), Eleanor Hadley Kershaw (ISS), Jennifer White (Architecture and Built Environment) and Orla Shortall (ISS and Biosciences). The mission of the SRN is simple: promote interdisciplinary learning and more collaborative research models across the university’s international campuses in order to tackle the big issues of sustainability. 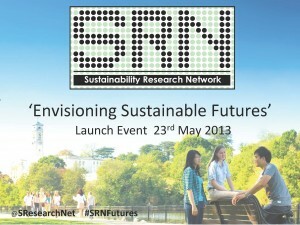 On May 23rd, the ‘Envisioning Sustainable Futures’ SRN launch event will be held on the University of Nottingham main campus in the UK to welcome over 40 researchers from disciplines including: Politics, Business, Geography, Architecture and Built Environment, Bioscience, Chemistry, Maths, Computer Science, Electrical Engineering, Horizon Digital Economy Research, Biology, Economics, Environmental Engineering / Technology, Biomolecular Sciences, Education, Chemical Engineering and Mechanics. The session will also be filmed to allow researchers from the China and Malaysia campuses to engage with the launch event. The event is the first of its kind at the University of Nottingham and will provide vital insights into careers in sustainability through presentations from academic, industry and third sector speakers. Attendees will also benefit from engaging in roundtable research discussions, participating in a sustainability scenario game, learning about sustainability teaching and research at the University of Nottingham, and networking with other researchers over a sustainably sourced lunch. The event has been funded by grants from The Integrating Global Society (IGS) and Science, Technology and Society (STS) research priority groups, as well as donations from Geography, Business, ISS, and Architecture and Built Environment. The SRN will be actively using social media to share outputs of the sessions and information about the network as it develops. Please do join them on Twitter (@SResearchNet) and Facebook (Sustainability Research Network) using the hashtag #SRNFutures. By Sarah Glozer (@Sarah_CSR), Doctoral Researcher at the ICCSR, Nottingham University Business School.